The Queens Museum is a public museum situated within the second largest public park in New York City. Since its founding in 1972, the Museum has been a home for the production and presentation of great art, intimately connected to its community and to the history of its site. 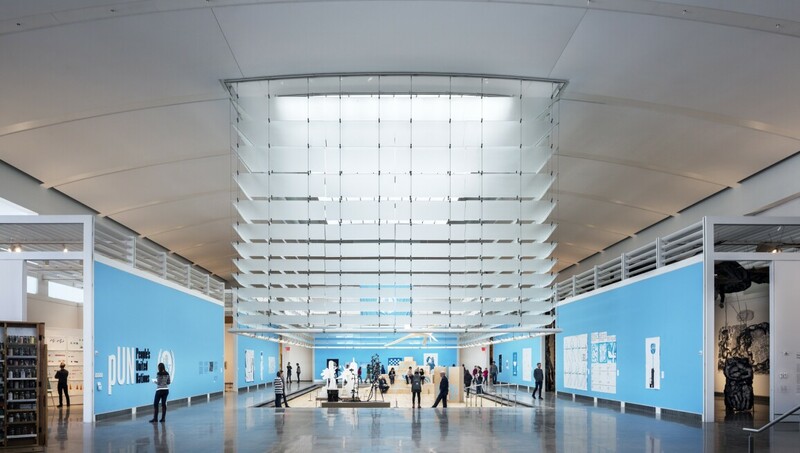 Artist- and community- led projects, engaging and responsive museum education and public programs and groundbreaking exhibitions are at the core of the Queens Museum's initiatives. With more than 150 different languages spoken in Queens, the Museum is set amidst the most ethnically diverse locale in the world. What is hyper-local here, therefore, is inherently and profoundly connected to locations and circumstances around the globe, and the Museum works to manifest this link between that which is locally relevant and internationally imperative through culture and art. Housed in the historic New York City Building, the City's official pavilion during the 1939 and 1964 World's Fairs, the Museum's galleries overlook the Unisphere, the monumental steel globe that remains both a well-known symbol of the 1964 World's Fair and an enduring symbol of the borough. The building was also home to the United Nations General Assembly from 1946 to 1950. Exhibitions at the Queens Museum range from historical to contemporary. The highlight of the collection on permanent display is Robert Moses's Panorama of the City of New York, a 9,335-square foot scale model of all five New York City boroughs created for the 1964 World's Fair. The collection also includes memorabilia from both World's Fairs and The Neustadt Collection of Tiffany Glass, a display of Dr. Egon Neustadt's Tiffany objects, once fabricated in Corona, Queens. Courtesy of the Queens Museum. Photo: Max Touhey. Courtesy of the Queens Museum. Photo: Peter Dressel. Courtesy of the Queens Museum. Photo: Hai Zhang.